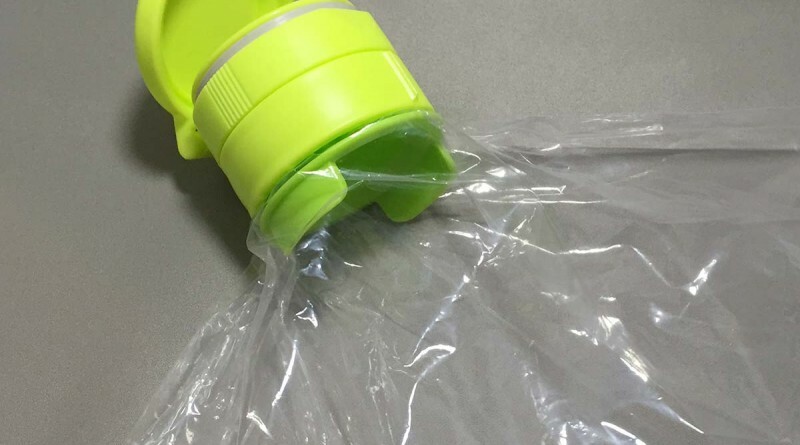 How many times have you easily opened bag of cereal, crisps (aka chips), pasta or any small bag of food, only to find yourself fighting with the packaging to reseal it? 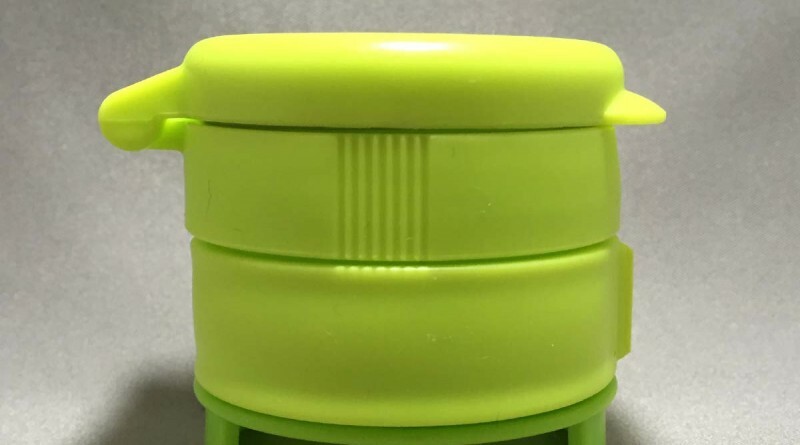 Do you pour out the food to store in another container, and later on forget when the use-by date was? Well, help is at hand. 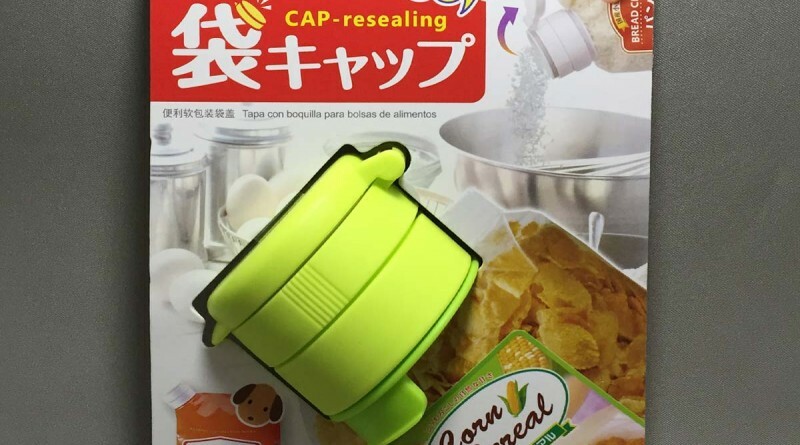 This Daiso Bag Cap – CAP-resealing device, can easily seal up a bagged food using it’s own packaging. 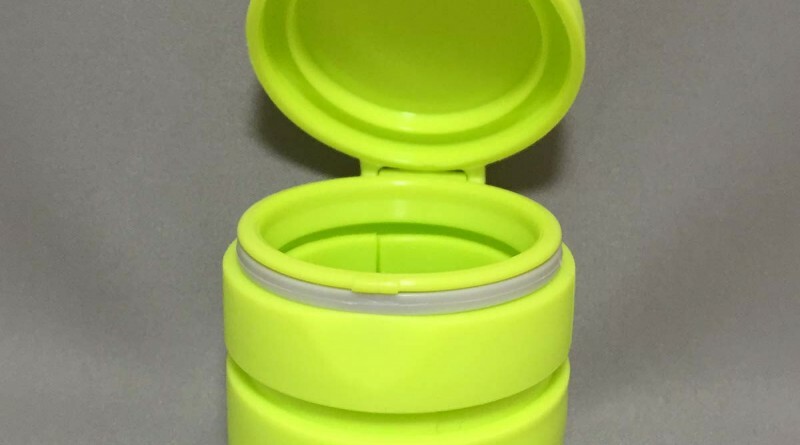 And when you want to use it, just flip open the cap. 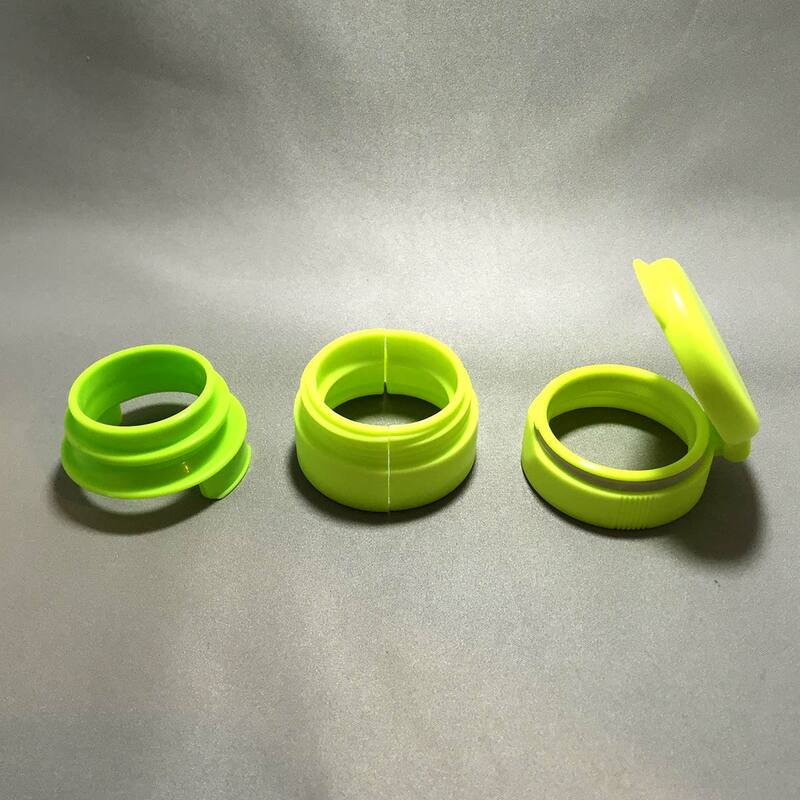 The bag cap comes in three pieces; ‘A’ to insert into the bag packaging, ‘B’ to clip over the packaging and ‘A’, and ‘C’ is the cap piece that screws onto ‘B’. 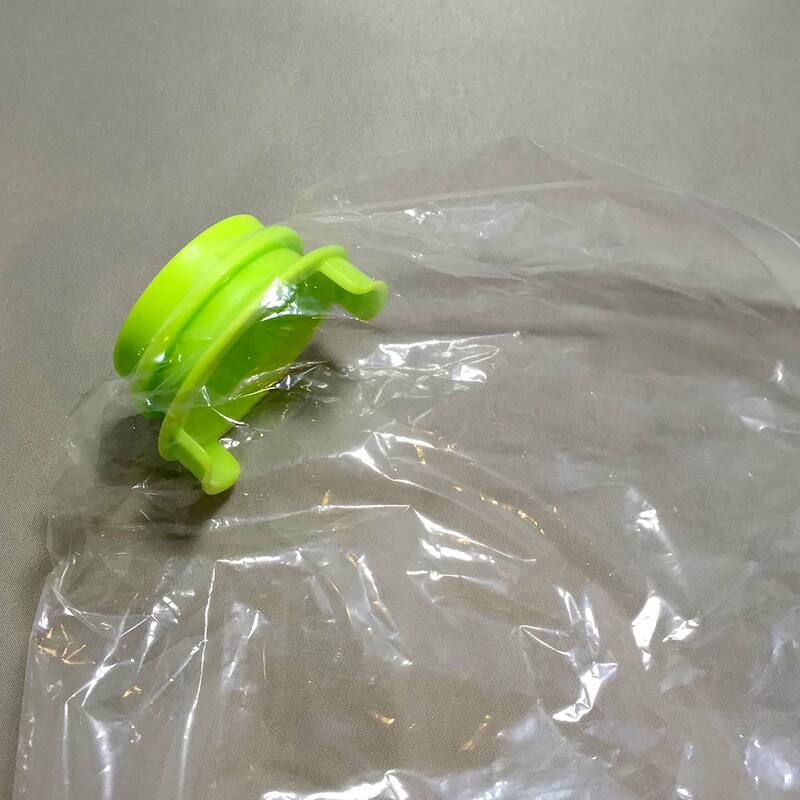 I have included images of the bag cap attached to a clear plastic bag. 1. 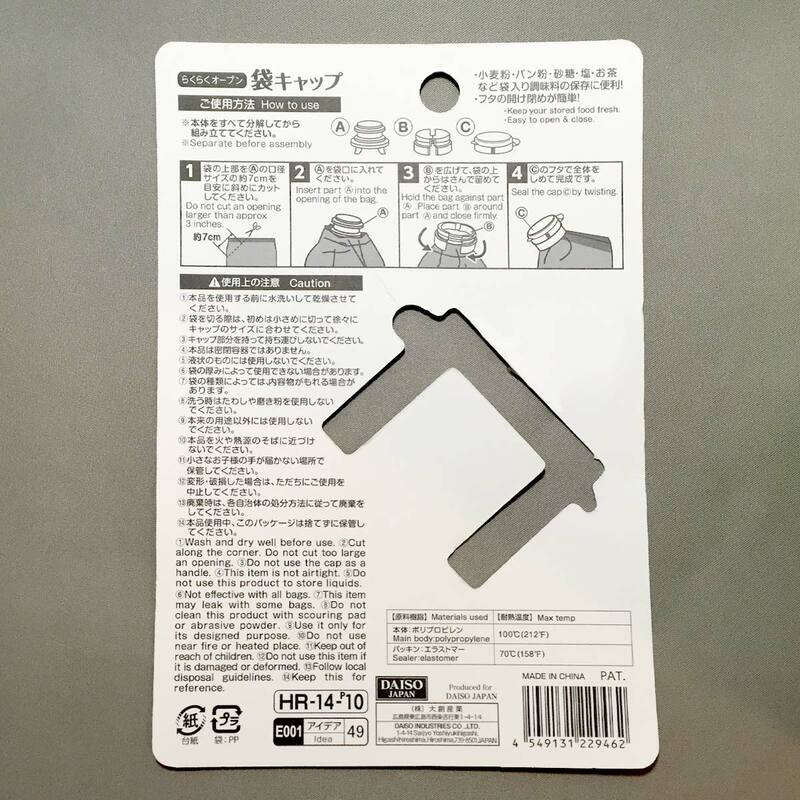 Cut an opening no larger than 7cm at the corner of the packaging. 2. Insert part ‘A’ into the opening of the bag. 3. 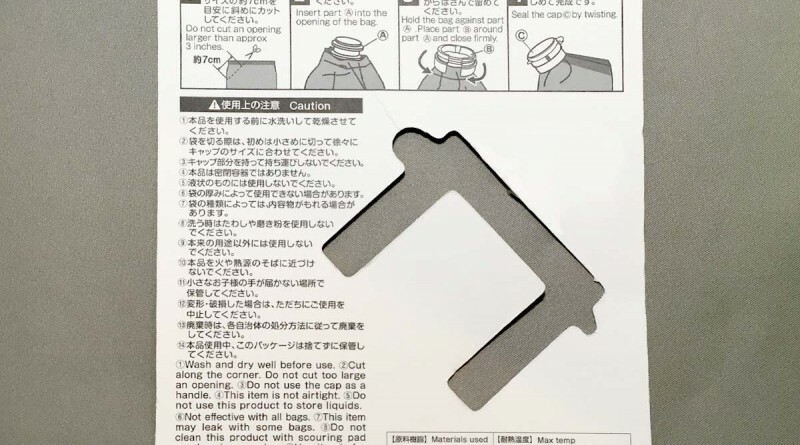 With ‘A’ inside the opening of the bag, clip ‘B’ around ‘A’, making sure most of the packaging is also clipped between ‘B’ and ‘A’. 4. Screw ‘C’ over part ‘B’ to close the cap. – Wash and dry well before use. 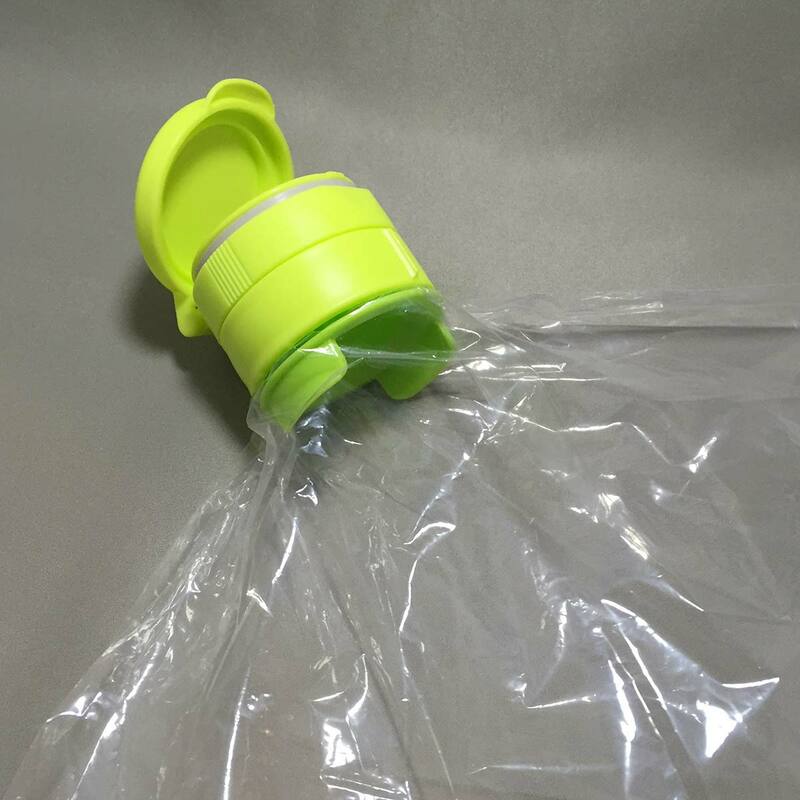 – When cutting the opening in the packaging, start by cutting a small opening and enlarging it if needed to fit part ‘A’ of the bag cap. 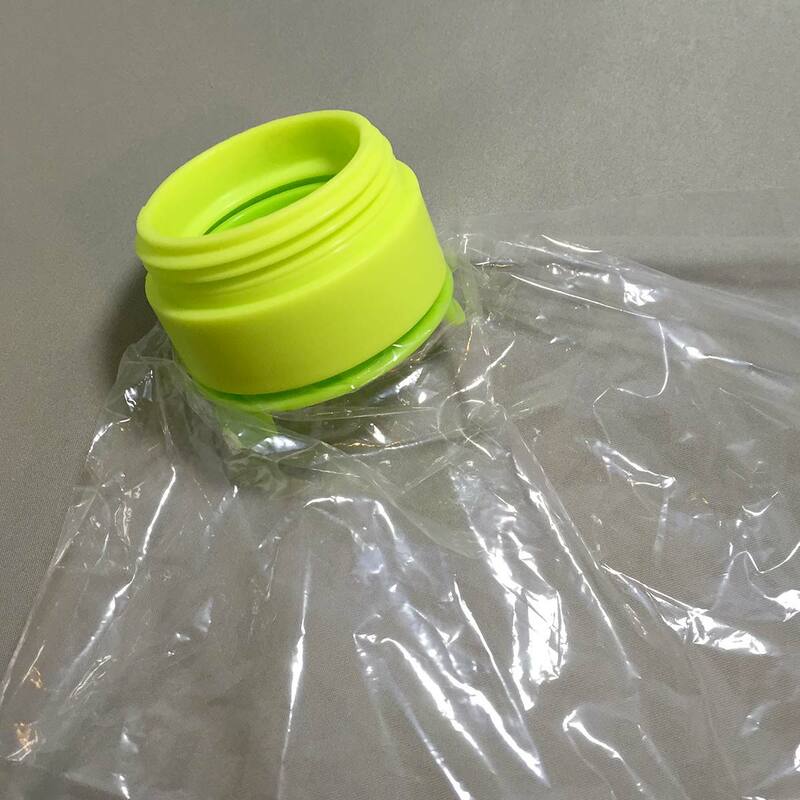 – When the cap is attached to the packaging, do not hold the packing by the cap. 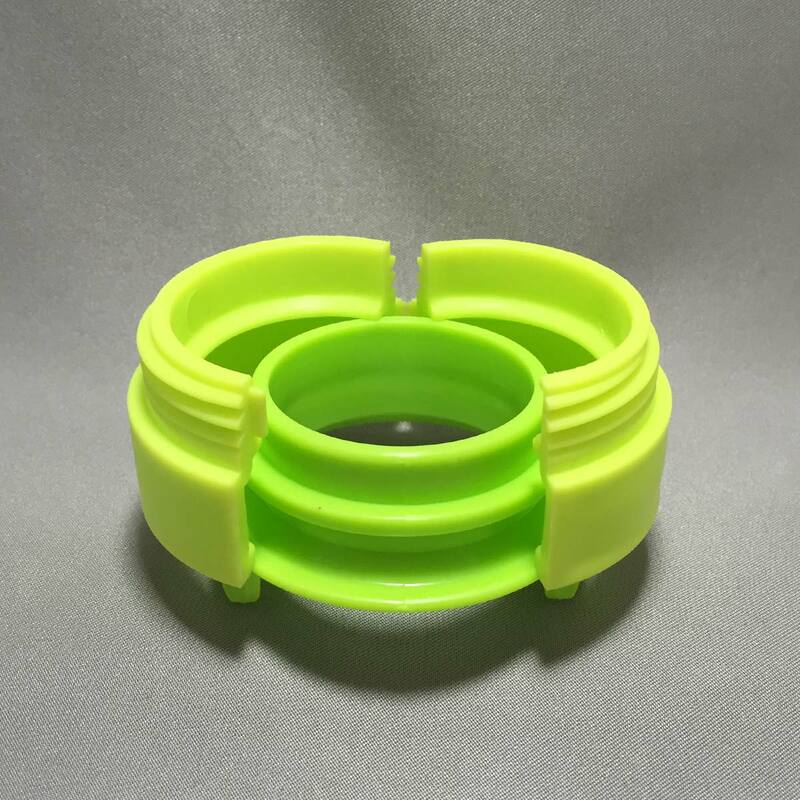 – The cap is not airtight. 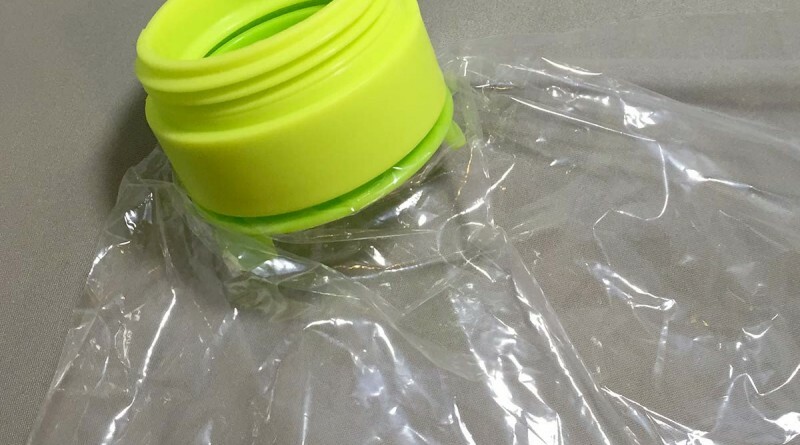 – Do not use the cap on liquid products. 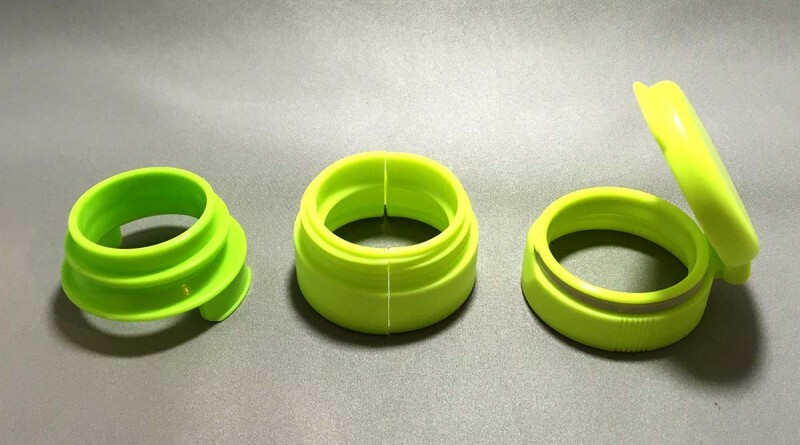 – The cap may not fit over thick packaging. 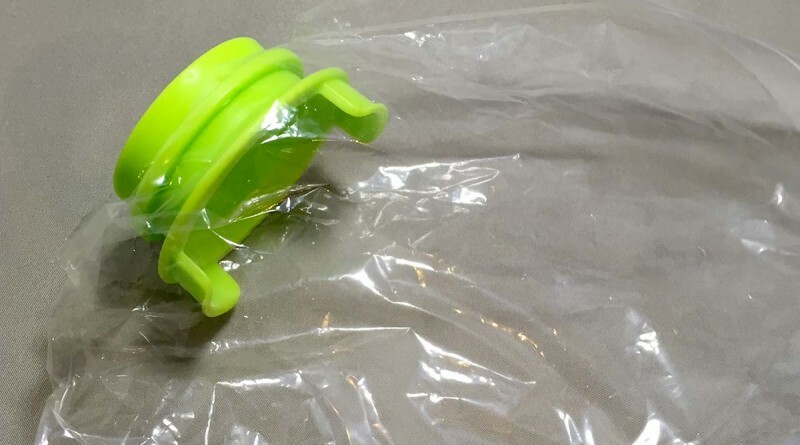 – Some bagged foods may leak even with the cap attached. 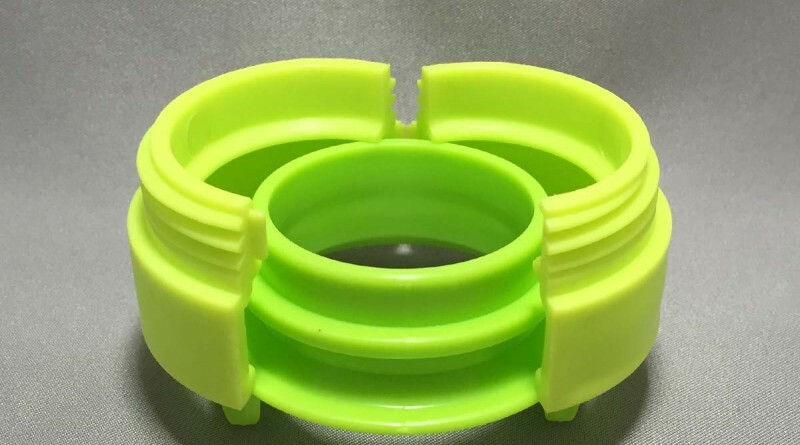 – Do not clean the cap with scouring pad or abrasive powder. – Do not use near fire or heated places. – Do not use the cap if there are any damage or deformation. 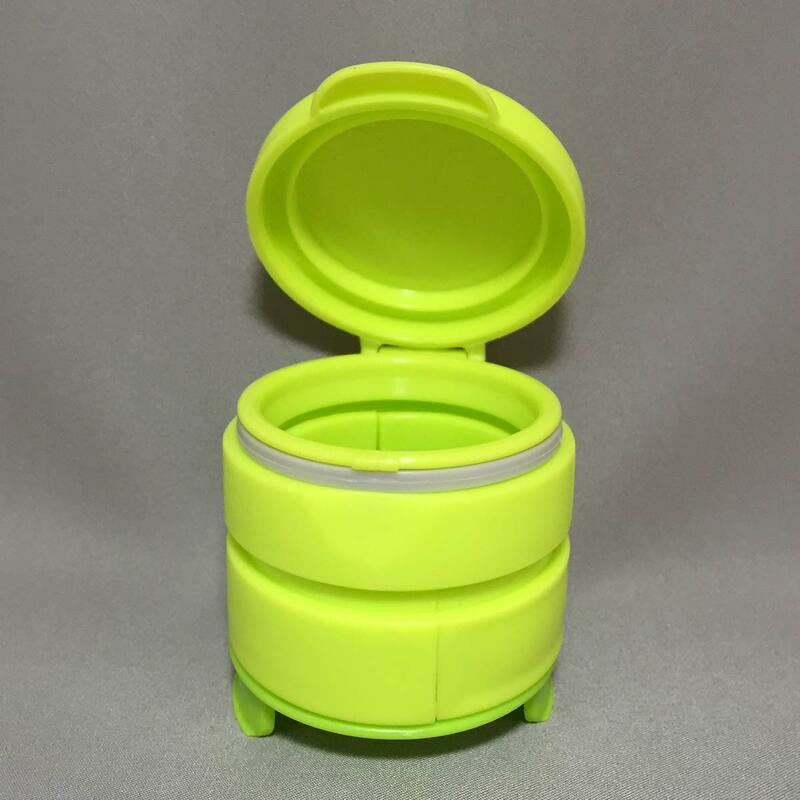 – For disposal of the cap, follow local disposal guidelines. 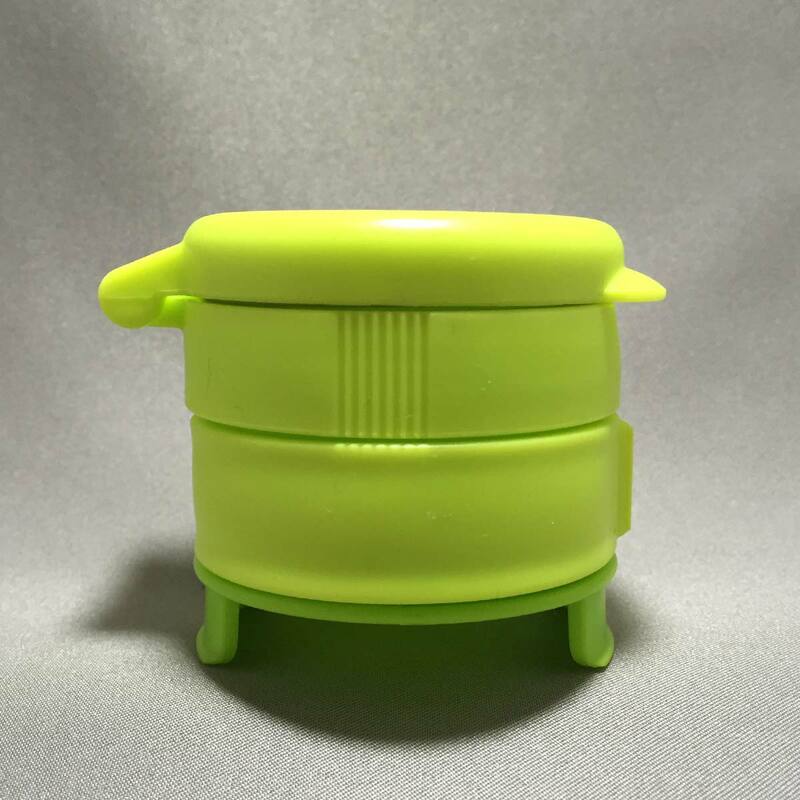 We currently use a similar product to seal our left over spaghetti in it’s original packaging. Although I have not tried with this product yet, but I think it will fit over the plastic packaging of spaghetti. 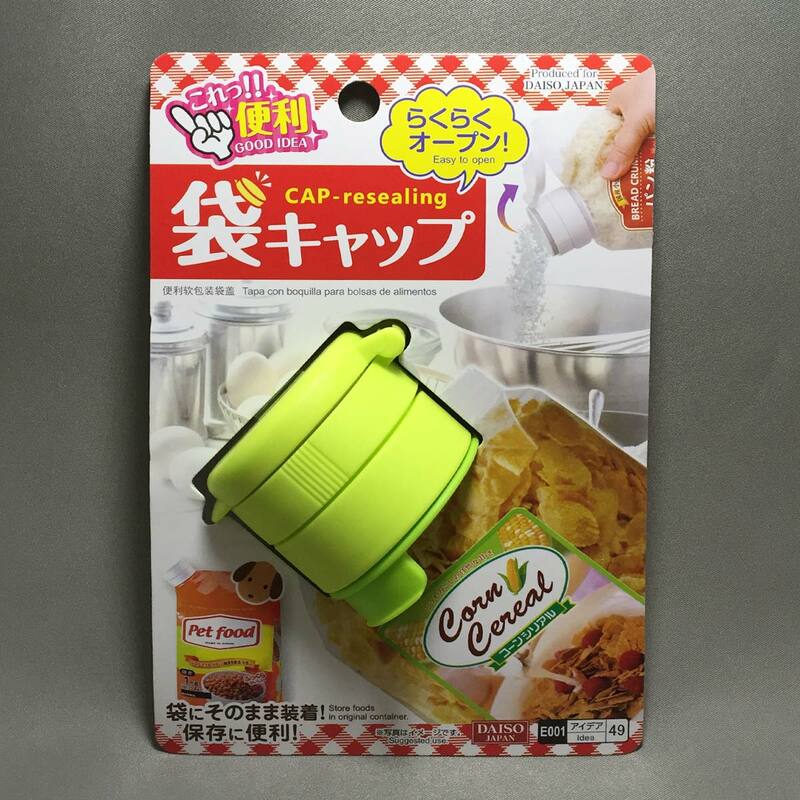 I certainly wouldn’t try using the cap on fine powder products like flour, as the Bag cap packaging notes the cap is not airtight, and could leak. There is a lot of space between port ‘A’ and ‘B’, so I wonder if putting a few elastic bands over part ‘A’ might make a tighter seal. 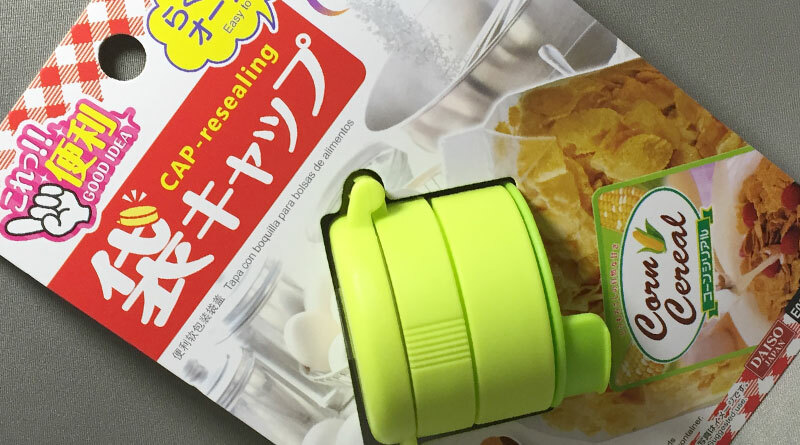 Overall, as Daiso states in it’s packaging, this is a ‘Good Idea’ product, and I can’t agree more.